Happy Halloween! Please enjoy this list of Louisville-area Halloween events for families and children. Louisville loves Halloween. There are so many events for kids of all ages and many are free. We even have a Halloween parade! Trunk or treat events are also popular and abundant. We will keep updating this post to add events has they are created so check back often. 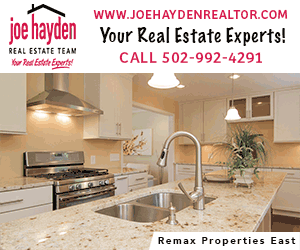 For Halloween events in Oldham County – click here. Looking for more fall fun? – click here. October- various dates: Bass Pro Shops & Cabela’s will have FREE Halloween events on select dates. October – various dates & locations: The Louisville Free Public Library has a ton of Halloween themed events. Here is the link to the October page. You can sort by location if you have a particular branch you’d like to attend. Throughout the season: Haunted attractions are abundant. Click here for a list of options if you have older kids that are ready to scream. Wednesdays in October: Kentucky Derby Museum offers a Horses & Haunts Tour. Halloween on Hillcrest is a legendary street for decorations in the Ville. If you are looking for a street to visit this Halloween, take a walk down Hillcrest to check out some of the most elaborate decorations you will find in any neighborhood in town. Pirates of PRP is located at Seaforth Drive, Louisville, KY 40258 for the Pirate/Halloween lovers in us all! Check their Facebook page for updates. Weekends through October 28 – Literally, A Haunted House at Culbertson Mansion in New Albany. Weekends through October 28: Grim Trails. If you are looking for a scare! (Best for older children). Dates in October: The Spirits of LaGrange Ghost Tour is a two-hour candlelit walking tour. The tour takes you inside locations with about eight stops along the way for a distance of 12 blocks. Tours depart from the La Grange Welcome Center. Tours are not recommended for children under 12. October 9 – November 4: The Jack-O-Lantern Spectacular will be held in Iroquois Park with 5,000 carved pumpkins lining a ¼-mile walking trail, illuminated at night as an “art show” daily from dusk to 11 p.m. during the week (Sunday-Thursday) and midnight on Friday & Saturday. September 29: Culbertson Mansion Coffin Race 5-7pm. This event is part of Harvest Homecoming. October 4 is the start of the ‘World’s Largest Halloween Party’ at the Louisville Zoo! Delightful. Not Frightful. If scary is no fun for your little ones, then don’t miss the sweetest party in town. Enjoy your Zoo magically transformed into a living storybook with costumed characters and trick-or-treating throughout the Zoo for kids 11 and under. 5:00pm-8:30pm. Select dates in October. October 6: Louisville Halloween Parade and Festival, 12 – 9 pm. Family-friendly Halloween fun including an all-new street festival from featuring craft booths and live entertainment. The highlight of the event is the 16th Annual Louisville Halloween Parade taking place at 6pm. Don’t miss the fun! October 6, 4-6pm: Halloween Carnival & Trunk or Treat at Mary T. Meagher. Concessions and carnival games. Adults must accompany children. 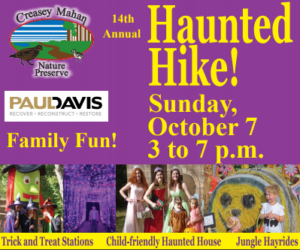 October 7: The Haunted Hike at Creasey Mahan Nature Preserve offers Halloween fun for the entire family! This kid-friendly event features a mile-long Fantasy Kiddie Trail with lots of trick and treat stations, a Harvest Hay Village, Inflatable Party Zone, self-tours of our comic Haunted House, jungle hayrides, treat stations, face painting and fun activities for the entire family. 3 pm – 7 pm. October 11, 6:30pm: Frankenstein on Film: Edison’s Lost Classic at Locust Grove. October 14, 2pm: Louisville Palace showing of Goonies. Fridays, Saturdays in October + October 14: Fright Light Halloween Party at the Gheens Science Hall & Rauch Planetarium. October 16, 6:00-8:30pm: Adult art, Halloween crafting in New Albany. October 19, 6-9pm at St. Francis of Assisi: Jack O Lantern Stroll benefiting Dreams with Wings. Free. Over 1,500 beautifully carved pumpkins lighting the night, trick-or-treating, games, crafts, Louisville’s largest pumpkin pie by Heitzman’s Traditional Bakery, members of the Louisville League of Mascots, University of Louisville athletes, live music and so much more! October 19, 6-8pm: Norton Commons YMCA Fall Festival with hayrides, trunk or treat, barn dance, costume contest. October 19-20, 8-11pm: Zombie Park at Camp Taylor Memorial Park. $5. October 19-21: Halloween at South Harrison Park. Camping weekend in Harrison County, IN. October 19-21 & 26-28: Halloween at Buffalo Trace Park. Camping weekend in Harrison County, IN. October 19-31: Frankenstein at Kentucky Center for the Arts. Recommended for ages 11 and up. October 20, 10:30 am-12:30 pm: Halloween Mask Making at the American Printing House for the Blind. Free but registration required. October 20, 7- 10 pm: Haunted Park After Dark. $6 per person, free hot chocolate. Nighttime geocaching. October 21, 1-4pm: Fest-O-Ween at Paddock Shops. Trick or treating. And, kids get a free pumpkin with a $10 receipt from one of the shops. October 21-22, 12 – 5 pm. : Sunny Acres Farm Pumpkin Festival Admission is $5 per person. Hayrides, petting zoo, bounce houses and pumpkin carving stations– all weather permitting. October 21, 11am-5pm: Homerun Halloween at Louisville Slugger Museum. Kids in costume tour tree, there’s trick or treating, and free Halloween mini bats (while supplies last). Additional themed activities included. October 23, 7pm: Frankenstein: A Reading Performance by Kentucky Shakespeare. 7 pm, in the great parlor inside Locust Grove’s historic home. Light refreshments provided. Tickets $20 per person or $15 for Locust Grove members; prepaid reservations required. Call (502) 897-9845 to reserve. October 23, 5:30-7:30pm: All treats, no tricks Halloween baking class at Turnip the Beet. October 23, 7pm: Frankenstein: A Reading Performance by Kentucky Shakespeare at Locust Grove. October 24, 4:30-7:30pm: Trick or Treatment at the Crescent Hill Gatehouse and Reservoir. Bring the entire family – costumes encouraged! Healthy Zombie Walk around the Reservoir with activity stations along the way. Children must be accompanied by an adult. October 24, 5:30-7:00pm: Trick or Treat Event at Riverside, the Farnsley-Moremen Landing. October 26, 4-6pm: Mary T Meagher Dive in Movie – Ghostbusters. Free. October 26, 4-7pm: Halloween Party for kids 8 years old and under, Douglass Community Center. October 26, 5-7pm: Trick or Treat at Westport Village. Free. October 26, 4:00-8:30 pm: Annie May’s Halloween Party. Allergen-free treat bags for kids. Face painting, games. Come in costume! October 27, 10am – 12:30pm, Creepy Crawly Extravaganza at the Louisville Main Library. FREE Halloween party!Hands-on activity stations, a special guest appearance by Sid the Science Kid, a dance party with a live band, and big bugs courtesy of Idlewild Butterfly Farm! Each child attending will receive a free book. Wear your costumes. October 27, 11am to midnight: Nightmare in NULU. Family fun fest, dress in costume. October 27, 11am-3pm: Halloween in Brown Park. 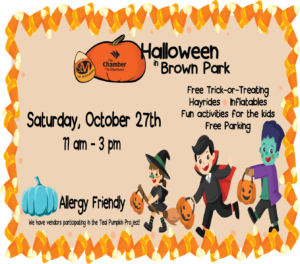 Over 60 area businesses setting up trick-or-treating stations throughout Brown Park’s trail, bounce houses, hay rides, and games and crafts this event is always a great way to get into the Halloween spirit. October 27, 11am-3pm: Boo Dell at Yew Dell, Trail-o-Treats, Hay rides, a straw maze, scavenger hunts and the popular Mr. Magic at 2pm will round out this fabulous fall day. This event draws a big crowd, so go early to get in on the goodies. Fee for admission. October 27, 4:30-8pm: Pumpkinfest is in Jeffersontown. This is a great alternative to the traditional trick-or treating. Children dress in costume and trick-or-treat along Historic Gaslight Square, enjoy activities at the pavilion and enjoy lunch. October 27, 12-2pm: Take a Boo Sightseeing Cruise on the Belle of Louisville. October 27, 12-2pm: Festival at Love City – hayrides, painting pumpkins etc. October 27, 2-5pm: Norton Commons Fall Festival – Trick-or-treating, face painting, train rides, music, and plenty of family fun will abound. Trick-or-treating will be from 2-4 only, so come early and don’t forget your costume. October 27, 5-6pm Trunk-or-Treat at the Buechel Train Depot. October 27, 5:30-7:30pm: Healthy Trunk or Treat & Open House Extravaganza at Louisville Family Chiropractic. October 27, 6-8pm: Hope Lutheran Church Trunk or Treat, 4200 Shenandoah Dr., Louisville 40241. October 28th: Corydon Halloween Parade. October 28, 11am-7pm: Joe Huber’s Trick-or-Treat on the farm. October 28, 2-5pm: Trick or Treat at the Track, Churchill Downs. October 28, 4-6pm: Trunk or Treat at Sojourn East. October 28th, 5:30-8:00pm: Trunk or Treat at the New Albany Riverfront Amphitheater. October 29, 6-8pm: Halloween Downtown in Jeffersonville. The night is filled with trick-or-treating around Big 4 Station Park. Free event for ages 10 & under. October 29, 5:30-7:30pm: Halloween Dance Party at Middletown Kroger. October 29, 4:30 – 6:30pm: Hayride on the Hill at Baringer Hill in Cherokee Park. Live music! Food, beverages and beer for sale. Octobter 31, 6-9pm: Trunk or Treat at Third Lutheran Church.